Mason City and Clear Lake are located eight miles apart and connected by Highway 122 with Interstate 35 bisecting them. 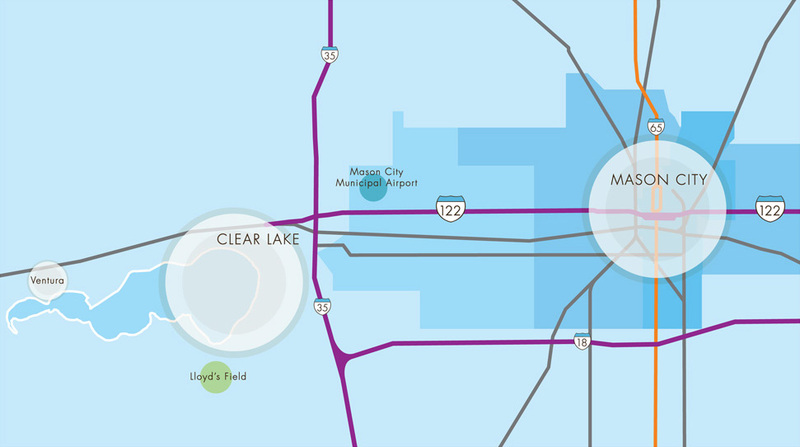 The Mason City Municipal Airport is conveniently located three miles from the interstate and provides four commercial flights daily. Trade and lifestyle connect the two communities closely; the Highway 122 corridor routinely carries more traffic per day between the two cities than the section of Interstate 35 that runs between them.